Phil Cusey and Drew Rosema giving it a go. 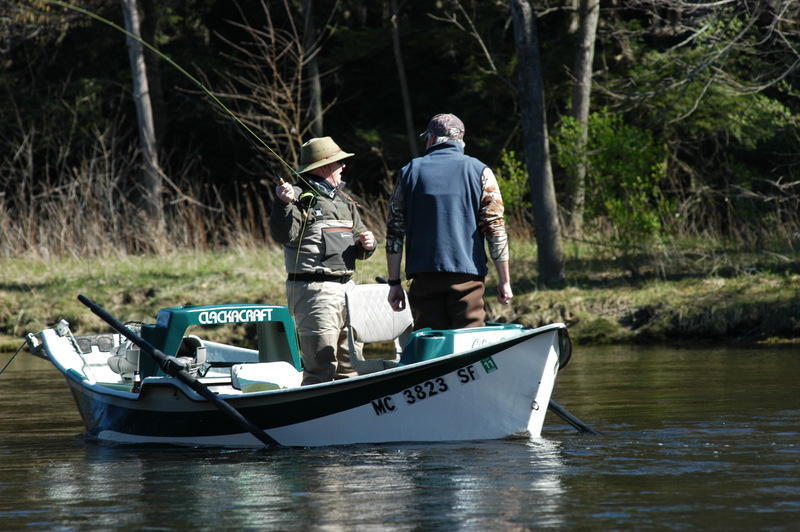 The Muskegon draws anglers from all over the region. 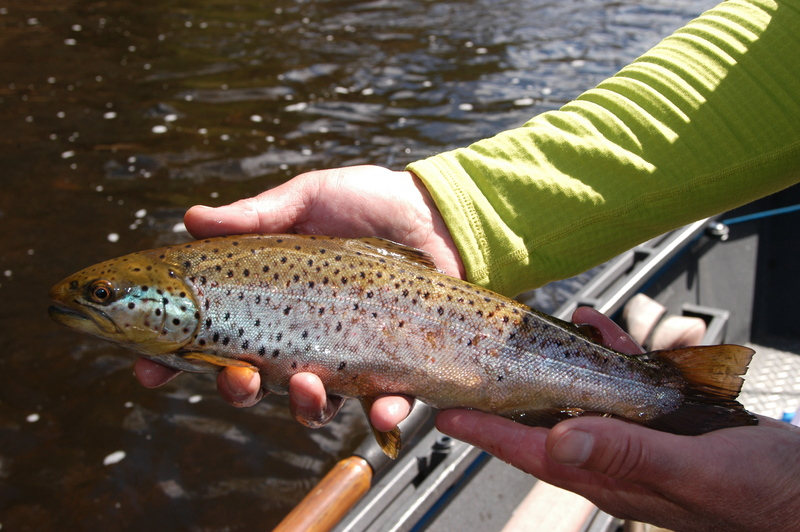 This nice brown trout hit a white, cone-head streamer. Drew gets out of the boat and tries his luck. Time to add some weight. The current is rippin. 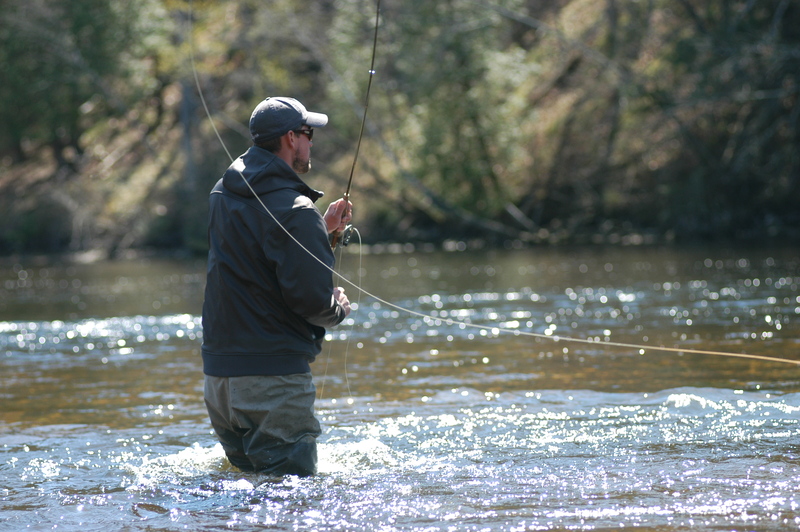 Fly fishing on the Muskegon River is always a good time. It’s big water with a great population of brown trout, rainbows and steelhead. 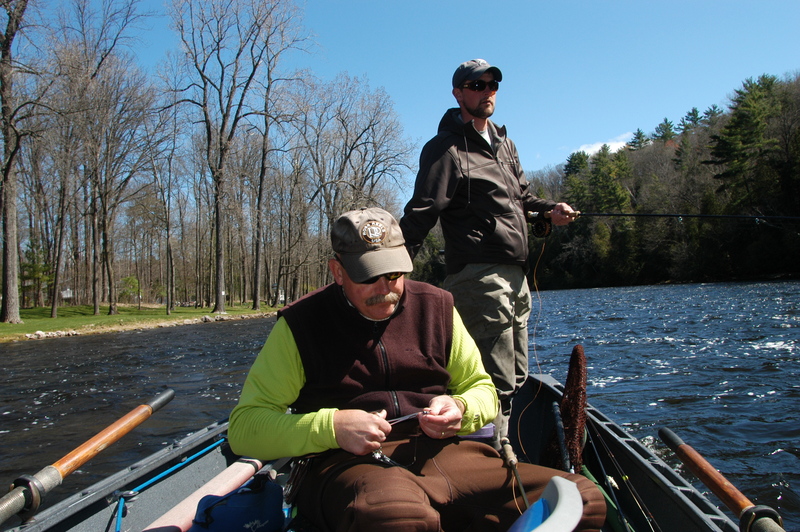 I joined Phil Cusey, a Grand Rapids fishing guide and friend, for this delightful day. Drew, also a guide, hopped on-board partway downriver. 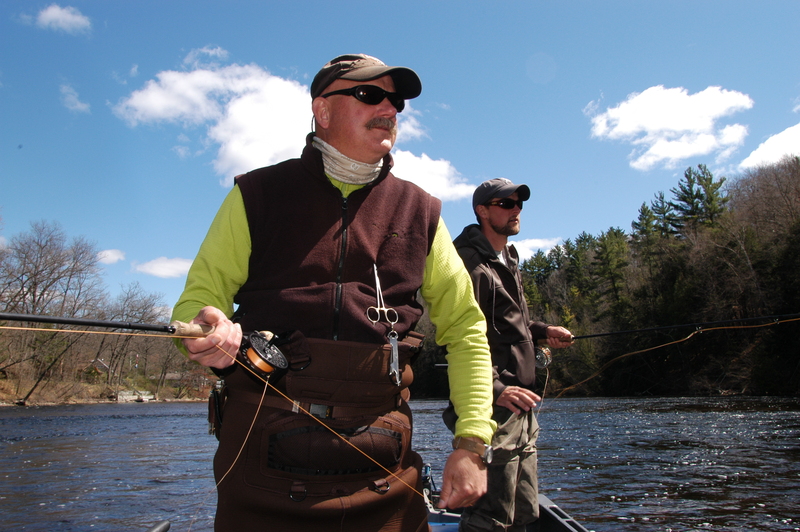 Gallery | This entry was posted in Uncategorized and tagged Fishing, Fly Fishing, Muskegon River, Photos, Trout. Bookmark the permalink. I guess it wan’t a good time to have my knee replaced eh? Bummer. It’s a good river, but it has been and will continue to be. Heal quick!